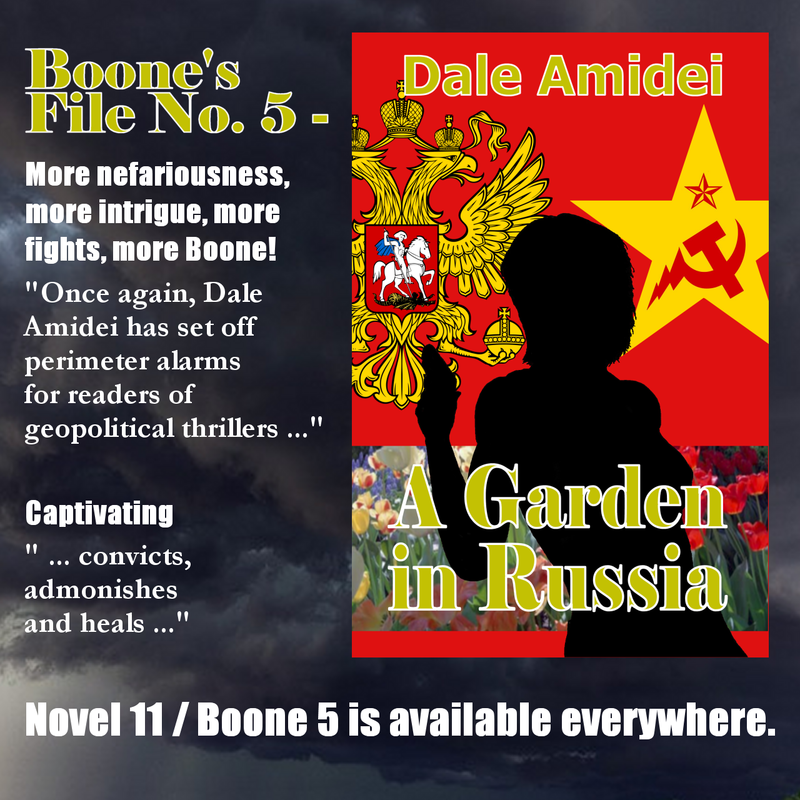 In long-awaited production news, the fifth title of my Boone’s File series, A Garden in Russia, has emerged from production editing and is preparing to publish next month. As always, the date will be announced on Facebook and via Twitter. Her Big List of Links will appear here once all retail outlets spin up. Pop. There’s a reason we celebrate this country’s Declaration of Independence with fireworks. Doing so serves to remind that independence, ironically enough, has a continual dependency on being enforced by those on whom it is bestowed. Many firecrackers, bottle rockets and other pyrotechnics are charged with a smaller granulation of the same sort of black powder that filled the horns of minutemen. If they were particularly well equipped, the same fine FFFg from a miniature horn might have primed their flintlock muskets, rifles, and pistols. Those discharges sending your cat under the bed are a microcosm of history repeating itself, as it will always. Pop. Pop-pop. Men lined up at the Concord, Massachusetts North Bridge because they’d had their fill of the assumptive imposition of authority by other men. It was a time given to the long contemplation of ideas and the study of consequences exhibited in natural law, and in those ruminations arrived a realization: folk, by their nature, are free. Society has organized itself in various ways since civilization began. Uneven distribution of advantage, for most of history, led to those who have it and those who serve them. Life, too has its dependencies, and when ambition combines with the compulsion to direct the lives of others it seeks to control the distribution of necessities and restrict the means of resistance. The result of controls and restrictions imposed rather than adopted in consensus is tyranny. Bad ideas are often institutionalized in the attempt to legitimize an indefensible precept, or to justify those arrangements which, for a time at least, prevent society from descending into chaos. So evolved the supposedly divine right of kings. Such led to inherited leadership, good or bad, and the tradition of being protected by those who, in turn, most enjoyed advantage. This particular vision of governance—that of nobles by subjects—endured for centuries, established colonies in foreign lands, and built empires. Pop. People colonizing a new continent, folk who had to build for themselves, and protect themselves, and provide for themselves shared their challenges with others having identical attribute requirements for survival. They prospered, and their prosperity led to easement in the general standard of living. After some decades an era of enlightenment, fed by newly discovered time to read and think, had arrived. They began to watch, and learn, and discern the natural rules of faithful living. Knowing as they did the will of God revealed in Scripture, they nurtured in long-held traditions whose utility was the preservation of reliable conventions through time rather than a single lifespan. Premises tested for soundness and then extended on the basis of merit rather than whim began to transmit from one mind to another through the printing press. Some of those questioned the dominant paradigm of monarchy. Pop-pop. Men realized that just power derives from the consent of the governed. They perceived that souls kindled by their Creator were on equal footing at their appearance, each with the same moral responsibilities to each other and the God who created them, and with an identical duty to assert those in times when overly presumptive authority thought otherwise. Pop. One shot was heard around the world, and the diametric opposition of ideas formed camps as patriots lit brushfires of freedom in the minds of their peers against the status quo. Ideological Americanism began to spread, fueled by the light of liberties promised to those who adopted morally upright and responsible living … the only sort that endures. In time, the Founders declared their right to govern themselves as they saw fit, and the ideology of America manifested in a new nation. Its citizens had to assert its independence against those who thought otherwise lest their freedom again degrade to subjection, and free folk took up a fight that will never end. God’s enemy whispers egotism and self-aggrandizing false premises into the ears of those who’ve not guarded their minds, and therefore their souls, yet today. The voice of the enemy is like water. It seeps, then puddles, stagnates, and finally breaks out into a flood of evil when spiritual dams let loose. We are seeing this happen now, in the acting out of those lacking any clear vision of how to preserve themselves, their freedoms, or anything else. Evil has not left us, for the same reason we exercise by lifting weights. God’s voice is in the arena as well, fortifying those who listen and lending the strength to stand upright in any flood. Those who clearly perceive their nature and that of their Creator will value gifts descending from Him over offerings of a world tempting us away with false premise and promise. People must learn the same lessons as their forebears from time to time until reliable paradigms again solidify. To be free of each other, we must first be freed of sin beyond our own means, and only faith in a loving Creator leads to the lifting of that yoke through His grace. Freedom in all realms comes by listening, and studying, and discerning truths and solid ideas from those fatally flawed. One may know when enlightenment arrives. It pops. 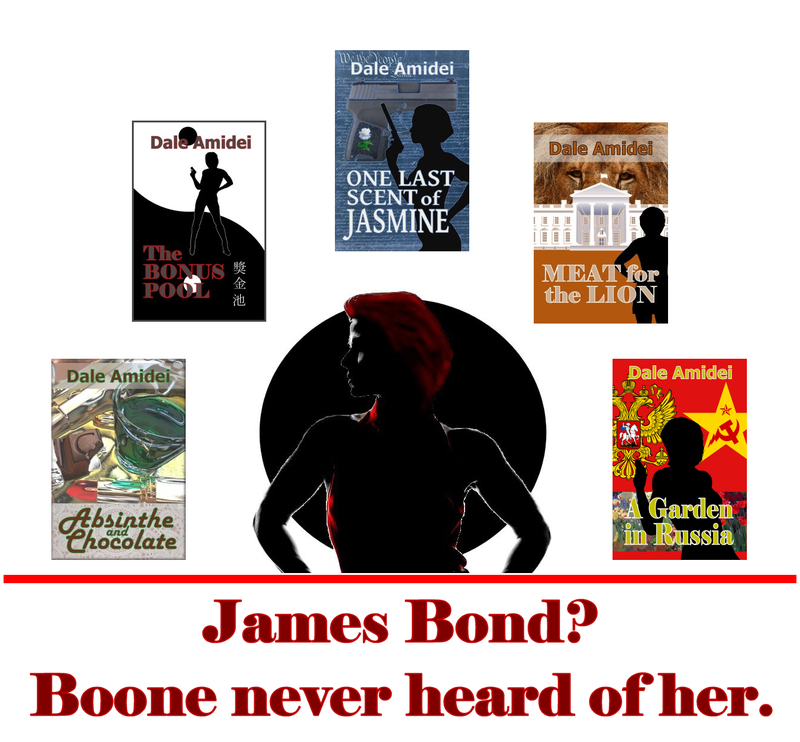 In production news, Boone’s fifth adventure, A Garden in Russia, is nearing the three-quarters mark in production editing and on schedule to appear in September, God willing. If you’ve not started in on the titles of Boone’s File, there is no better time to catch up than before an epic drops. Society, contrary to the initial and understandable conclusion one might draw, is not going insane. It is, however, suffering a prolonged period of moral and intellectual degradation, one students of history will recognize as cyclical. This world, being drawn closer together by transportation, information technology, and the advances of globalism over national identity, also is becoming more prone to conflict as competing ideologies necessarily engage when previously they might have been free to ignore each other. Quality of character is neither fixed nor inherent. We are each an impermanent and evolving vehicle for an eternal soul, one from moment to moment presented with opportunities to embrace growth or corroding temptation. What rules we determine for living will tally in their return at the end of our days, and until then choices made along the way reflect our priorities. The distinction between valid and invalid initiatives is necessarily a judgment call enabled by wisdom, an acquired ability to forecast the consequences of a given action. Intervening self-focus is the usual root of any inability to listen. In the arena of ideas, answers to essential and unavoidable questions determine who achieves life and avoids death on both the physical and spiritual planes. Fundamental orientations are those where one will encounter a zero-sum game of natural law more often than any accommodation of preferential variance. Even more so as the stakes increase to a worldwide pot, clarity remains a survival trait. Toward this ideal, let me offer ten observations in the same hope as was reflected in the naming of this blog after the motto of Single Candle Press: of kindling a light somewhere in a predawn darkness. Feel free to meditate on each as you will. Two: The pursuit of lame advantage begins where expectations of excellence end, with the initial embrace of an intellectually dishonest and morally faulted false premise. The journey of a thousand miles begins with a single step, and sometimes ends quite badly. Three: A morally faulted false premise is driven by one or more of the seven vices. Peeling back layers on the onion of folly is going to reveal a rotten core with amazing consistency. Four: Achieving and afterward maintaining lame advantage depends on the support of a successfully advanced narrative. Usually, such propaganda manifests in an excuse or purportedly justifying equivocation. Resultant gratification is often instantaneous, though any short-term gains pale in comparison to their potential for cultivating enduring disaster. Power accrues to the collectivist lobe of our political spectrum and its affiliated broadcast contingent through agitating a targeted base or market. The dividends then are reinvested in magnified effort by malefactors who value accumulated influence over servant leadership. Five: An indefensible narrative may only thrive in the absence of rational criticism. Dear God, do not even get me started on the current state of education. Those invested in collectivist thinking are grooming impressionable minds through strategies of indoctrination. Tyrants invest in producing followers rather than citizens out of self-interest, and disabling intellectual ability is a necessity … lest, as Sam Adams noted, a troublesome few realize their subjection and choose to light brush fires of freedom in the minds of their peers. Six: Rational criticism cannot be overcome through intellectually honest means. Instead, it must be suppressed or overwhelmed by narrative. Neither should you get me going on the technological tyranny of social media giants or the propensity of higher education to coddle those to whom it should apply riot control agents instead. Volume is not a counterpoint and often is inversely proportional to the validity of one’s argument. Seven: An essentially faulted premise cannot be rehabilitated, and any subsequent extension exacerbates whatever ill effects are endemic to its initial failing. Start over, Skippy. Study for awhile first. Nine: Systemic collapse resets this cycle, offering again the choice between excellence or lame advantage. Any dysfunctional progression may only be broken by adopting the extension of valid premises, i.e. the prevalence of individual and subsequently societal morality. There are limits to any progression of folly, as the ash layers of history testify when given an audience. Ten: The validity of any given personal, societal, or political ideology is reflected in demonstrating its long-term ability to achieve and sustain vitality. Sustainability is more than a millennial buzzword; it is an acknowledgement of the responsibilities of faith. In considering ourselves creatures whose purpose to live is implied by the fact of our appearance, it only follows that we seek to determine the goals of our Creator. In summation, I would submit that any advocacy proceeds from one of two possible motivations. The more base is driven by a compulsion to direct the lives of others. The nobler offers advice on where life might be found, and our level of discernment is what will successfully determine one from the other. It is my continual hope that you have found already what is needed to choose wisely when the time arrives … as it surely shall. In production news, Boone’s fifth and epic title, A Garden in Russia, is advancing through its middle chapters in production editing. Ranging from Virginia to the Aegean, going on to Asia, and taking with it most of my surviving characters, its anticipated September release remains on schedule. Defining moments are the lightning strikes of history. At times, the sudden flash of illumination passes to leave a smoking crater in the ground. So it was this past week with kerfuffle as the President’s opposition attempted, as is tiresome and usual, to spin one of his comments into a thread of advantageous narrative. Mara Salvatrucha, composed largely of Salvadoran, Honduran, and Guatemalan thugs, are more commonly referred to as the notorious MS-13 gang. They are also a focus of immigration enforcement in the current administration. Their repertoire of people smuggling, robbery, larceny, human trafficking, extortion, murder, money laundering, prostitution (including child prostitution), racketeering, battery, kidnapping, and arms trafficking is international in scope. The premise that these bipedal targets care little for the rule of law as it relates to national borders is extrapolated from their demonstrated disdain for every other aspect of civilization. So, when President Trump referred to them as animals, following his characteristic rhetorical idiom, the man’s political opposition jumped on another perceived opportunity to occupy unearned moral high ground and pander to an assumed voter base. It’s unlikely that the members of MS-13 are politically active to the point of voting. Regardless, if so their support for Democrats indeed would be expected. As with most positions of the political Left, though, imagining this stretches the boundaries of sanity, much less common sense. True to form in competing with the man his country elected to oppose them, the blue cancer in our American political system as a result suffered another in a long and wonderful series of setbacks. Defining moments. Lightning. Smoking crater in the ground. Repeat as necessary, natural law whispers. Leftists exist as a result of efforts from better folk. Strong people, as the cycle of history shows, produce good times. The vagaries of human nature ensure good times produce a preponderance of weak people, who afterward enable the bad times producing a saving number of leaders and doers to tow their fellows out of the ideological morass of extended, and afterward institutionalized, false premises. So do good times reappear … for awhile, at least. Following its part in these processes, the Democratic Party found itself in the same week twice defending Nancy Pelosi’s feigned outrage. Once, it was over purported disrespect shown the “divine spark” present in members of deceased Hamas terrorists littering the border between Gaza and Israel, and again prompted by his denigrating a criminal gang whose members are documented to have killed a man’s family in front of him using a chainsaw. The apparent lack in comprehension of essential concepts marking an appreciated differentiation between philosophical alternatives has seldom been so starkly displayed. Muhammad Qasim al-Khafji dedicated to a faulted vision of revelation. His brother Omar Ali served himself in the indulgence of revenge. Abdur-Razzaq ibn Ali ruthlessly pursued power. Ubayd Syed Sulayman made a more honorable man a prisoner for advantage. Yameen Amjad al-Khobar and Mikhail Ivanovich Smolin chose greed. Minister Liu Chunwang assumed highest the authority of his Central Committee. Valka Gerard valued too much the same ideology of accumulated power. Colonel Berislav Borojevic fully embraced ends justifying means. Maxim Osip Kakhovsky made death a profession in a living world. Nasir Murad Houthi yielded to a voice declaring him an arbiter of judgment. To call them animals is a rhetorical device. I’ve known animals with souls. I saw that of G. Gordon Kitty through its windows, while he was sitting on my chest doing the same with me. I’ve known people whose lack of attendance to their essential questions generated the amalgam of decadence manifesting in my ability to write a despicable antagonist. They are not animals, but vessels of a corroding soul; indeed a spark of the divine, if only in the sense that they risk enduring forever the sentence of righteously rendered judgment. The stewardship to which we were commissioned involves edification of upright folk and the management of those who refuse to take up the attributes of humanity: validation of the effort having gone into our appearance. Humanity is a cause taken up to hold and not an inheritance; it is, as faith, the evidence of things unseen. To see, often we first need to look. Since trilobites scrounged the beds of primordial seas, creatures have acted on the information at hand to good and bad results. Humanity descends from clarity, the farsighted vision to which one’s ears also contribute. Clarity remains free from the deceptions of optics, engineered steering toward a deceptive narrative so often strategized by those whose obsession is to direct the lives of others. To see what is, one must perceive the natural order accurately: One’s God and Creator, followed by allegiances to righteous government descending from his delegated principles and bestowed rights, followed by the love of family given to ordering and propagating healthy and vital society. It is a prioritization, in descent, of dedication. Dismissing a slow-to-anger Divinity and replacing His authority with the self or the state comprises the sin of usurpation. As with all others, it pays in death rather than whatever other currency—power, pleasure, or plunder—is promised. To be human is to tend the soul. Humanity manifests in undertaking a long work of life, one founded, as is that of our Source, in love when the alternatives are indifference and hate, a premise presented in my character Jon Anthony’s enduring tripartite. Life is found there, and in knowing this the dullest spark among us may share that much of the mind of God. Hold out your hope for them, for that is what will bring you joy … and the fulfillment of your treasure of true humanity. In production news, the fifth title of Boone’s File, A Garden in Russia, is approaching the halfway point in production editing and remains on schedule for a September release. Nearly every surviving character you remember from chronologically previous titles is there—contesting for the democratic process during a constitutional crisis in the Russian Federation—as the series approaches Maximum Boone in epic fashion. Our redheaded spitfire and dynamo of resilient feminine strength wouldn’t have it any other way. Of course, there’s a great deal of trouble everywhere one looks. Why do you think we’re here? The world, according to the laws of standard distribution, has always been half-filled with below-average people and somewhere in the neighborhood of twenty-five percent reprobative thinkers. Society’s state of affairs, as a result, never has and never will manage itself. Regardless, the place is what I’d like to call a Morally Integrated Universe. That is to say, a realm universally subject to predictable consequences, from which a reliable set of guidelines may emerge. Of course, any discussion involving morality is problematic these days. This mostly is due to the vociferous commitment of those who reject established norms, and who oftentimes prove quick to anger at commonsense assertions regarded as judgmental in their camp. Such irrationality, is, of course, itself a judgment, one made from what Andrew Breitbart used to call the occupation of unearned moral high ground. The heights of polarization being what they are, those who would best benefit from remedial lessons in conventional morality reject the notion in favor of preserving a precariously balanced world view. The premise of a Morally Integrated Universe is simple: namely, an assertion that whatever is right or wrong remains so everywhere and for all time, regardless of any contravening consensus. In varied settings, a given perspective might regard behavior to be right action when the same practice is considered reprehensible elsewhere. Who says which determinate factors are valid? Wisdom is what does so. The ability to reliably anticipate consequences preserves those who acknowledge that life is hard, and gets worse the more often one does stupid things. The likelihood of whether wisdom will be adopted has dependencies of its own, and those largely are determined by how an individual views his or her place in the order of things. Self has a valuation in creatures who consider their existence. For the purposes of this discussion, there are two primary perspectives: secular and faithful. Universally, the egocentric, secular over-valuation of self tends toward indulgence in neglect of altruistic concepts such as duty and charity. Such selfish lifestyles give rise to the seven deadly sins and routinely suffer any number of unfortunate consequences. Whether the concept of sin enters into the equation is entirely dependent on intervening external influences, be they social or spiritual. Faithfulness, conversely, is light against the darkness of self-absorption. This perspective perceives allegiance valued more than self and dedicates to it. It does not disregard personal considerations, but rather places them in an adopted hierarchy of ordered loyalties, some of which are prioritized while others are viewed as predominant. This is the perspective, given the weight of proofs available, producing devotees with the greatest long-term rates of survival. We may objectively observe this in the worldly sense, and are told of its importance in the life to go on elsewhere. Valid perspectives tend toward observation rather than consensus. Consensus necessarily includes faithless perspectives, overly influenced as they are by too narrow a focus on gratification. Thus, what seems fine from a myopic viewpoint can easily be revealed as a horrid decision after widening one’s considerations by a single order of loyalty. Beyond the limit of consensus rules the court of natural law, from whose verdicts there are no avenues of appeal. Its judgments are final and levied in life or death. Commitment to any sort of deceptively narrow focus—be it on the self, one’s identity, or a given philosophy—generates what I call an ideological bubble: an imagined state of reality prone to being popped by the collapse of an extended false premise. An armed malefactor walking into a designated Gun-Free Zone and turning a declared safe space into a shooting gallery instead is a prime and all-too-current example. When sufficient offsetting support is available, ideological bubbles may become institutionalized, as is the tragic norm in Blue State America. I’m looking at you, too, London. Should their compensating influences evaporate, it is their inherently unsustainable nature making them suddenly dangerous. There exists effective insulation against bad decision-making, that being found in conventional morality. This is no accident of culture. Rather, it descends from a long line of observations sifting What Works from What Kills. Valid perspectives, such as morality, are the product of a preserving sense of pragmatism having delivered its adherents through times too many others did not survive. The assertion of faith is that God, in His beneficence, saw fit to reveal many of those guidelines ahead of time. He did so with the intent that more of us should go on than those who tend to learn things the hard way. This is more than blind hope. It is a conclusion an adequate study of available historical and legal proofs will deliver. That He loves is evident in a portfolio of works in life. The extent to which He does so can be extrapolated from a promise that we may go on with Him, forever, on His terms. Your ordering of loyalties and consequent valuation of yourself await in an unavoidably essential choice between love, hate, and indifference. We will all see you on the other side, and sooner, perhaps, than any of us think. In production news, Boone’s fifth title, A Garden In Russia, is just over thirty-three percent through production editing. It progresses on a road to publication in September. Ritter’s fifth, Twenty-Four Hours to Midnight, with its chapters alternating between conflicts in Iraq set in 2003 and 2013 respectively, is somewhere in the neighborhood of the initial quarter of its first draft. 24HtM might appear in 2019 or early the following year, God willing. Here, it is not yet a week since an addled young man shot up his former high school in Parkland, Florida. And people everywhere are afraid. We have all felt fear, so there’s seldom a need to define dread. It’s burn graduates through degrees of apprehension to stark terror in every life, because we are fragile and fleeting creatures bounded in an uncertain existence by a beginning and an end, with our anticipated span between at best an assumption. Fear is natural once we witness hurt … or worse. To fear is no dishonor. Fear can be motivating, as adrenaline is invigorating. What follows behind sometimes is problematic. Fear exists as a tool for those whose main ambition is to direct the lives of others. Like animal predators in nature rather than society, spiritually deficient personalities seek, sense, cultivate, and exploit it because they recognize the manipulative advantage of leveraging terror. Terrorists use it as a means to an end. That the techniques of terror are more blatantly homicidal than a politician whose strategy is identical in its heartless essence marks only a matter of decrepit degree. The core value of both sociopathic subsets is dominance. In each case goal-oriented behavior exhibits to the exclusion of valued humanity. In every case, fear depends on its acceptance in the targeted group embracing the emotion. Sometimes this occurs out of fatigue following relentless, propagandistic assault, but more often the cause is a perception of helplessness. Those manipulating the sensation of horror have some transition in mind, and often what presents as a solution is anything but. Today the architects of fear are targeting the natural right of free people to possess the means of their defense. The framers of our Constitution recognized this before all but a few when delineating the rights its first ten amendments safeguard, because they were about setting down unchanging principles of governance unhindered by tyranny. In doing so, they were setting the boundaries of government free people would not need to fear. Frank Herbert’s masterpiece Dune has his portrayed Bene Gesserit trainees recite their litany against fear as “the mind killer” and “the little death that brings total obliteration.” Herbert’s characters, so prepared, faced their emotion, let it go, and traced its path afterward to better understand themselves. So should we. Fear stems from uncertainty, but certitude is a matter of education. It is infuriating that fear is being cultivated in our educational institutions these days. Its introduction is diminishing rather than edifying. Malleability originates in a condition of essential incapability. Performance anxiety in vital aspects of life, such as assuring one’s personal safety, amplifies perceptions of dependency, whose end result is to make its subject weak rather then strong. Personal, emotional and physical strength should be the goal of worthwhile mentors. To do otherwise brings into question the motives and honor of those responsible for producing the next generation of citizens, and the ideological condition their curriculum is designed to produce. I repeat: fear, in whatever condition one finds oneself, regardless needs to be embraced to have an influence. The strength to do otherwise is bestowed first in the spirit and then in the mind, where a decision to act must take place. This is why those whose sum displays in their ambition go to such lengths to assure its abundance in prospective subjects. Tyranny is never in the best interest of the oppressed, and tyrants know this better than anyone. It must be made to appear as the best choice, and to do so more noble aspects of the human experience must be put out of mind. The fear of death, the scariest and most inevitable doorway we face in life, is the tool God’s enemy uses to turn us from His will. That the enemy and his plans are defeated already through the Resurrection of Christ is the treasure of faith and secret strength for those of us who believe, and freely available should it be sought. This realization is God’s goal, just as His enemy’s schemes intend to keep you from it. So, here in the wake of another tragedy and in the midst of upset and proposed, agenda-based solutions on the political Left, I would encourage you. Find your faith and build your strength in the company of worthwhile teachers in whatever aspect of your personal development seems lacking. They are the ones whose goals are to make you strong, independent, reverent, and capable rather than a quailing thrall. They will teach you how to help yourself rather than carry or steer you into servitude. They will ask nothing but their due in exchange, if wishing anything at all but that you likewise pay forward the lessons accumulated from similarly happy, formative circumstances of their own in days gone by. In production news, as mentioned, the fifth installment of Boone’s File is editing and anticipating a September release. As always, whether you have read in Jon’s Trilogy, or Sean’s File, or followed Boone’s progress, we depend on your recommendations and your reviews to get out the word. “If you’ve read something, I hope you said something.” Your few words, describing to prospective readers how my novel made you feel, will never stop helping me … or go unappreciated here.